Ultimate Fighting Championship (UFC) president Dana White has massive praise for Anthony Pettis following UFC Nashville. Pettis took on Stephen Thompson this past Saturday night (March 23). “Showtime” was the underdog going up against the third-ranked welterweight in “Wonderboy.” In his first UFC bout as a 170-pounder, the former lightweight champion knocked out Thompson in the second round. When Woodley was the welterweight champion, he defended his gold against Thompson twice. Their first encounter ended in a majority draw. In the rematch, Woodley edged out the challenger via majority decision. 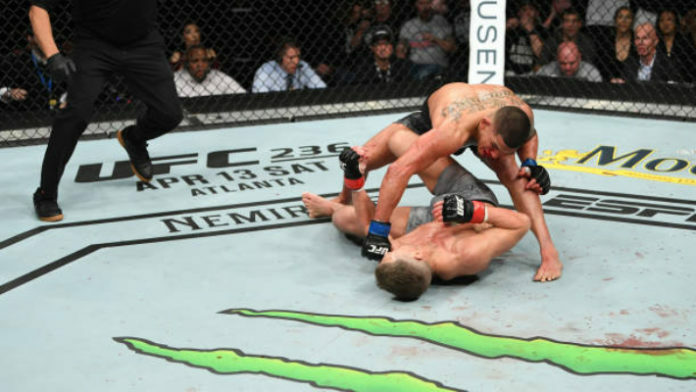 Were you surprised by how Anthony Pettis vs. Stephen Thompson ended?